Walk with your Doc – one of Doctors of BC’s flagship public health campaigns – is just around the corner, taking place May 5 - 13. It’s a time when we see physicians across the province organize and host a short walk with their patients to impress upon them the benefits of daily exercise. It’s a time when doctors can discuss with their patients the benefits of daily activity in an informal, casual setting, and how to take steps to start. Since 2014, more than 15,000 British Columbians have joined 1,200 doctors to Walk with their Doc. British Columbia has a reputation for being an active, adventurous, and healthy province. Statistics Canada reports that 59 per cent of BC’s population is active enough to achieve health benefits, compared to a national average of 44 per cent. But that also means that 41 per cent of our population is simply not moving enough to reap any health benefits. Physical inactivity is a major risk factor for a number of chronic diseases, such as coronary artery disease, stroke, hypertension, type 2 diabetes, colon cancer, breast cancer, and osteoporosis. For more than 60 years, the Council on Health Promotion (COHP) has been advocating to improve the health of British Columbians and the standard of health care in BC. 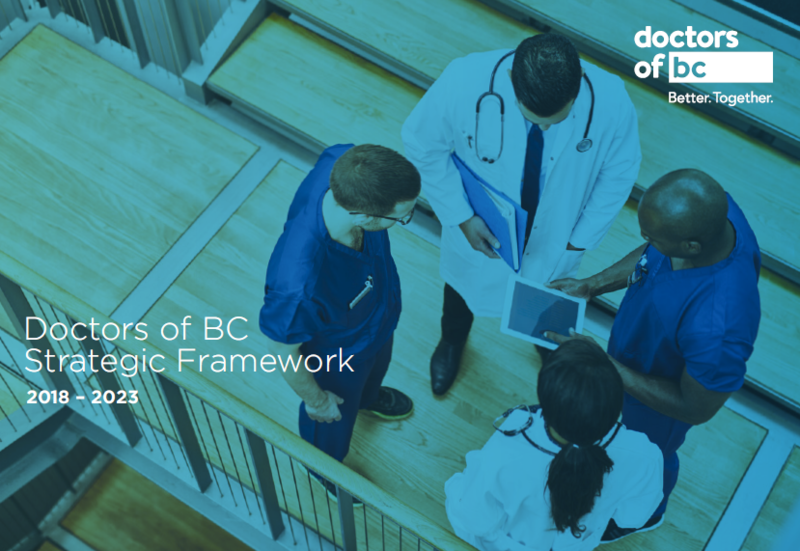 With a focus on community health, health promotion, and quality of health care, this Doctors of BC committee plays a large role through its sub-committees, advocacy work, policy papers, and public campaigns – including Walk with your Doc. To host an event register on the Walk with your Doc site. To participate in a walk, visit the Walk with your Doc website and look for a walk in your community here.